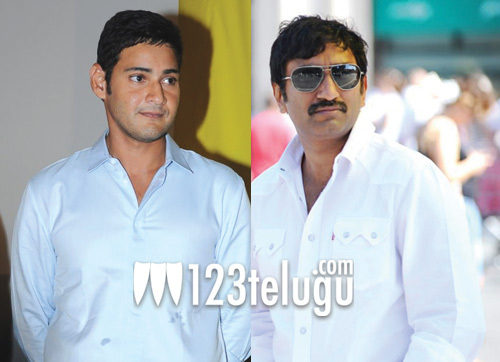 ‘Aagadu’ will have more entertainment than ‘Dookudu’! Director Sreenu Vaitla scored a massive hit with Mahesh Babu in the form of ‘Dookudu’. He has just completed NTR’s ‘Baadshah’ and is now gearing up for ‘Aagadu’ with Mahesh Babu in the lead role. Sreenu Vaitla is excited about the project and he says that the entertainment quotient in ‘Aagadu’ will be more than that of ‘Dookudu’. He made these remarks while interacting with members of the press in Simhachalam. “The film will go on to floors sometime in June. This film have more entertainment than Dookudu and it will be a much bigger and better project in every way”, he said. 14 Reels Entertainment Banner is going to produce this project. The same banner produced ‘Dookudu’ and is currently producing Mahesh Babu’s film in Sukumar’s direction.